Your Volusion store product listings need to catch the attention of more potential customers online. But if you have not integrated it with Newegg, one of the top marketplaces over the web, you are not letting it get the amount of exposure that it deserves. Our effortless Volusion Newegg integration services allow your store to be found more easily, and enjoy more sales within the shortest possible time. 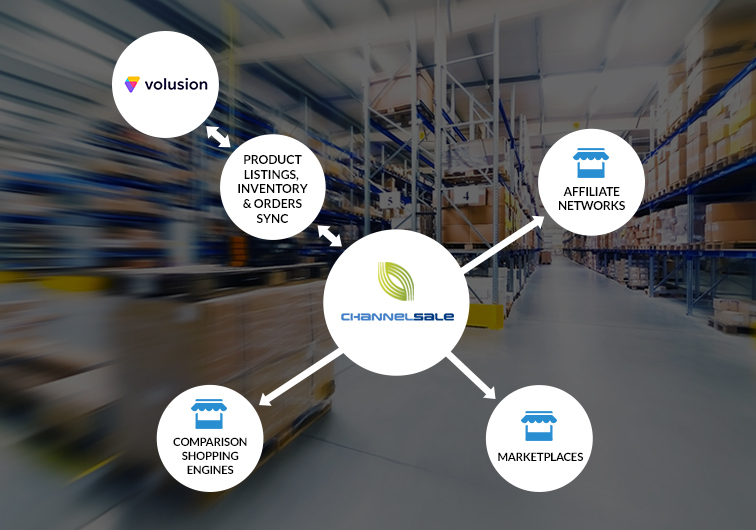 At ChannelSale, we can partner with you and enable your Volusion store to be promoted across multiple shopping channels with our rich software management tools, so that your wide array of products get the maximum visibility and get sold before time. Our advanced tools and knowledge can easily take care of your automated product listing process, manage your real-time inventory, optimize your item data feed and more. Our specialists in marketing can easily sync your Volusion store with Newegg, the reputed marketplace that is being chosen by more and more online store owners these days. Our Newegg integration is seamless, saves your time a lot and is economical to afford. You can easily let us handle the task without any worries. ChannelSale’s Volusion extension for Newegg supports simple or multi-variation products / parent–child relationships. Even if you have varied products of multiple sizes, colors, materials, we have the solution! Bundled, kit or group products are also handled. Volusion to Newegg granular level product category mappings pave the way for apt listing in sync with most appropriate product categories. Our advanced Volusion plugin for Newegg ensures error-free data entry and data transfer process. Our shipping and order tracking management services are of the highest order, and we constantly keep you updated about the latest status of products. Let us handle your Volusion Newegg integration services and see the differences that we can make to your business!